I don’t remember exactly when it started, but many factors influenced our decision to visit Sapporo in winter. One of the triggers was the skiing. A friend of mine who’s skied everywhere told me that the best snow he’s ever experienced for skiing is in Hokkaido. I never expected the best skiing in the world to be in Japan so that to me was very intriguing. Another factor was the annual Sapporo Snow Festival. Neither Ren nor I had ever been to any kind of snow festival before so that was enticing too. But the biggest selling point I think was all the stories we kept hearing about its food. These stories kept coming and the more we heard, the more we wanted to go. I’m a sucker for crab so when my Japanese friend told me that crab is the quintessential winter dish in Hokkaido, it was pretty much a done deal. Here’s what five days of sushi, snow, skiing, and Sapporo’s superstar crustacean looks like. Sapporo is the capital of Hokkaido, Japan’s largest and northernmost prefecture. It’s Japan’s fifth largest city and the second snowiest city in the world, getting an annual average snowfall of about 4.85 meters (15.9 ft). It first garnered international attention when it became the first city in Asia to host the Winter Olympics in 1972. Today, it’s best known as being the birthplace of miso ramen, Sapporo beer, and playing host to the Sapporo Snow Festival which draws in over 2 million tourists annually. Hokkaido is beautiful year-round and offers something different each season, but it’s most popular in winter and in summer. Serious skiers and snowboarders are no strangers to Hokkaido’s snow which is said to be some of the best in the world. If you enjoy skiing, then winter is definitely the best time to go. Ski season in Hokkaido typically starts in mid-December and lasts till early April. If you’re interested in the Sapporo Snow Festival, then that happens around the first week of February every year. That week is peak season in Sapporo so it’s best you start planning your trip early if the festival is your goal. The focus of this guide is on winter, but summers in Hokkaido are said to be gorgeous as well. Flowers are in full bloom, most notably lavender. Lavender has been cultivated in Hokkaido for more than half a century and the flower fields of Furano are one of the island’s biggest draws. They usually start blooming in late June and reach their peak around mid-July to early August. Lavender is the most popular but Hokkaido is also known for poppies, lilies, sunflowers, and salvias. We’ll definitely be visiting Hokkaido in summer as well. To help you better understand the weather in Sapporo, I’ve included average temperature and annual rainfall/snowfall graphs below. Suggested months to visit are indicated in orange. Since the focus of this guide is on winter in Sapporo, then I’ve only highlighted February, the month of the Sapporo Snow Festival. If you’re visiting Sapporo in winter, then be sure to dress warmly. The average temperature in February is -4°C (25°F) with a low of -7°C (19°F). Bring thick winter clothes, thermal underwear, a pair of gloves, a hat, and a scarf. I had on a set of thermal underwear which I wore under a t-shirt and hoodie. I had one of those thick poofy jackets over it along with gloves and a beanie. I was comfortable in that. It can be slushy and icy on the streets so wear shoes with good traction if you have them. I had on waterproof Merrells while Ren wore thick winter boots. Heavy winter clothing is a must but it’s a good idea to dress in layers as well. While it can be bone-chillingly cold outside, it was often very warm inside, sometimes too warm. Buildings, restaurants, and underground walkways are heated so you may feel hot at times. It’s best to dress in layers so you can peel them off and on as needed. You’ll definitely want to remove your gloves, hat, and scarf while walking around indoors so a good-sized bag will come in handy. Hokkaido is the northernmost prefecture of Japan and separate from the main island of Honshu. Most travelers to Sapporo will probably be flying into New Chitose Airport. It’s the fastest and cheapest way to get there, though you can go via Shinkansen as well. BY PLANE: Few countries have direct flights to Chitose so most travelers will probably arrive via connecting flights. 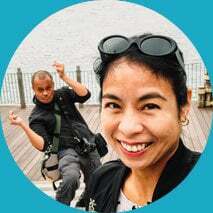 In our case, we wanted to explore Kyushu after Sapporo so our port of entry/exit was Fukuoka from Manila. I didn’t realize this at the time but flying in through Fukuoka actually made it a little more difficult to get cheap domestic flights to Chitose. Of all the low-cost carriers I checked, only Skymark Airlines and JetStar Japan had direct flights to Chitose from Fukuoka. I wound up booking with ANA and paying USD 195.48 each roundtrip. This is a special fare available only to non-Japanese residents. If it doesn’t matter from which airport you depart from, then I suggest flying to Chitose from either Tokyo (Narita or Haneda) or Osaka (Kansai). You’ll have more options and flights are cheaper too. I just did a dummy booking on Skyscanner and JetStar Japan seems to be the consistently cheapest option with roundtrip tickets from either Tokyo or Osaka at around USD 100. When searching for flights, you can check Vanilla Air, Peach Aviation, and Air Do as well. To get to downtown Sapporo from Chitose, take the JR Rapid Airport line bound for Otaru and get off at Sapporo station. The fare will run you JPY 840. If you’re traveling in a group or have a lot of luggage and would prefer to arrange for a private transfer, then you can do so through Klook. Follow this link to book airport transfers from Chitose on Klook. BY TRAIN: This takes longer and is more expensive but you can get to Sapporo by Shinkansen bullet train as well. I just did a dummy booking on hyperdia.com and a one-way trip from Tokyo to Sapporo will cost you at least JPY 27,860. At today’s exchange rate, that’s about USD 250. On top of that, total travel time is over 14 hours compared to about 1.5 hrs if you fly from Tokyo. The only time I see this being an option is if you’re getting a JR Pass and doing a multi-city tour of Japan. This will give you unlimited use of all JR national trains in Japan, including Shinkansen bullet trains and the Narita Express. You can purchase a JR Pass in 7-, 14-, or 21-day variants from Japan Rail Pass or Klook. Banks and post offices are the best places to exchange currency in Japan. Based on what I’ve read, people seem to prefer post offices because the transactions are faster. I exchanged currency at a bank and the process did take some time. I had to fill a bunch of paperwork then wait for the transaction to complete. If you’re arriving in Sapporo via New Chitose Airport, then you can exchange a small amount there, just enough to get you into the city, then change the rest at a bank or post office. Another option is to withdraw JPY from an ATM. The rates are competitive and can allegedly be even better at times. Just make sure you advise your bank that you’ll be using it abroad so you don’t run into any issues. In my experience, my ATM card works in some machines but not in others. If you’re visiting Sapporo specifically for the snow festival, then the best place to stay is around Odori Park. It’s the main site of the festival and the most convenient place to be. However, the week of the snow festival is peak season in Sapporo and one of its priciest. Hotel room rates, especially around Odori Park, will be at their highest. If you book early enough, then you may find a good rate on Booking.com or Agoda. Otherwise, there’s AirBnB which is where we booked our accommodations. We rented a lovely Japanese-style mini-apartment in the suburbs of Sapporo for a reasonable USD 95 per night for three people. Check out my post on our AirBnB in Hassamuminami for more pictures and information. Be sure to search Booking.com, Agoda, and AirBnB to find the best accommodations for you in Sapporo. 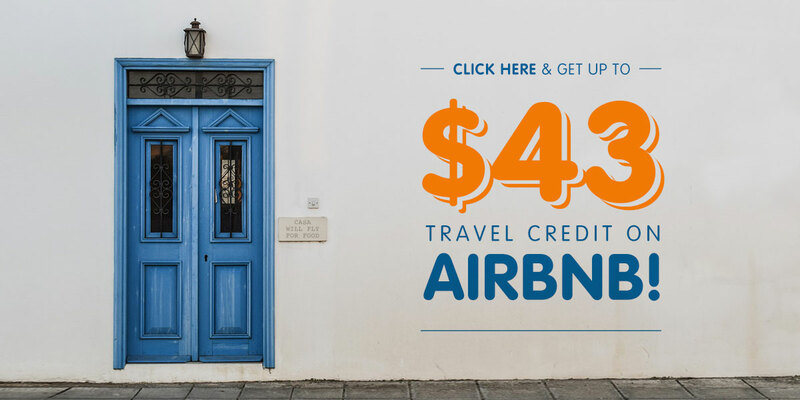 If you’re new to AirBnB, then you can get up to USD 43 free travel credit via THIS LINK. No matter which site you wind up booking with, I suggest booking accommodations as early as possible to guarantee yourself a room during the festival. Unless you’re a skier or have family in Sapporo, then chances are you’re in town in February to attend this festival. Because why else would you brave average temperatures of -4°C and just four hours of sunlight every day? 😆 Kidding aside, winters in Sapporo are brutal. It’s the second snowiest city in the world getting an average snowfall of about 4.85 meters every year. Not the easiest of environments to deal with but at the same time, it makes for the perfect venue for a snow festival. 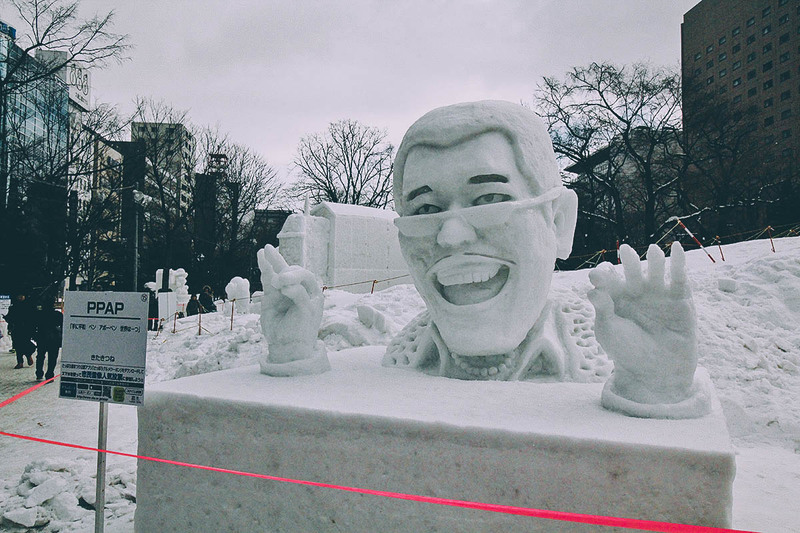 In fact, so popular has the Sapporo Snow Festival become that it now attracts over 2 million tourists annually in spite of the harsh weather conditions. Check out my post on the Sapporo Snow Festival for more pictures and information. If you enjoy drinking beer as much as we do, then this needs to be on your itinerary. 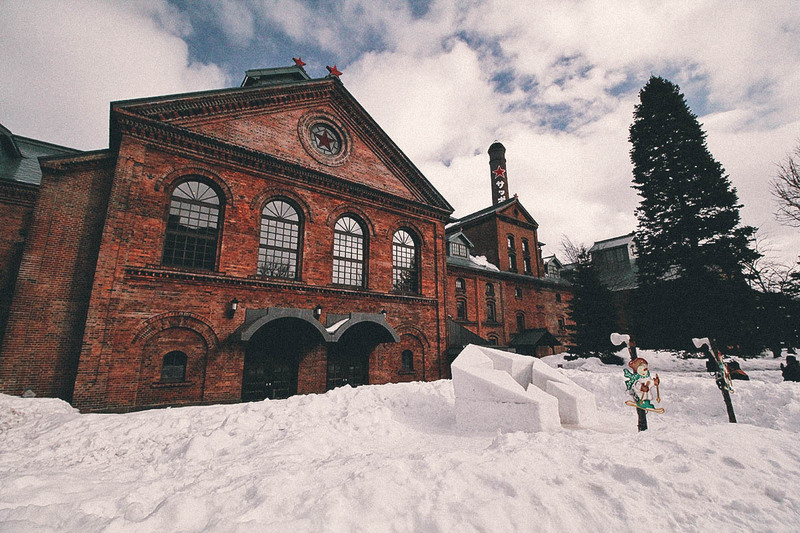 Sapporo is one of the oldest beer brands in Japan and has been brewing here in Hokkaido since 1877. There isn’t much to the museum but people come here mainly for the beer tasting and the all-you-can-eat lamb jingisukan which is one of Hokkaido’s signature dishes. Check out my post on the Sapporo Beer Museum for more pictures and information. As previously described, a Russian skier friend of mine told me that the best skiing he’s ever experienced is in Hokkaido. He’s skied everywhere but he loved it here so much that he now comes back every year. Aside from the festival, this is what I was most excited about on this Sapporo trip. 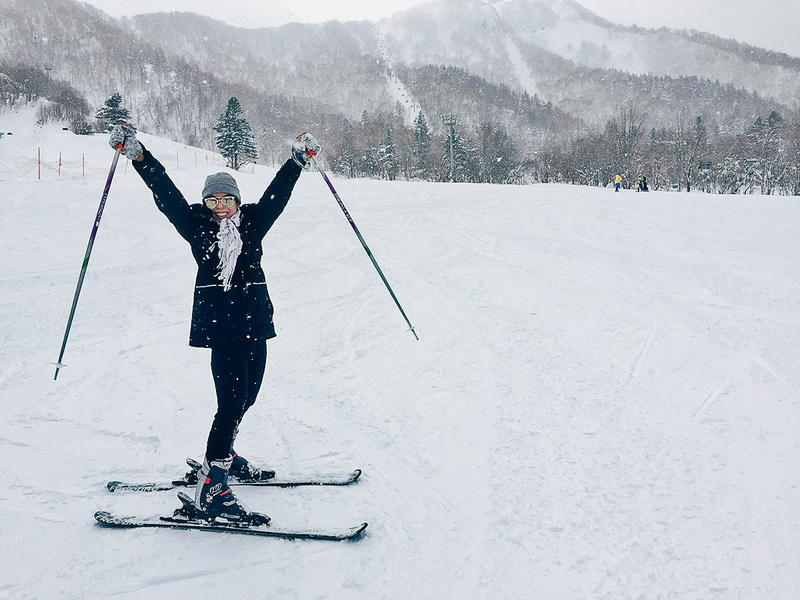 Serious skiers and snowboarders head out to Niseko but if you want to go skiing just for the day, then Teine is an excellent choice. It’s about an hour away from Sapporo and easily accessible by public transportation. Check out my post on skiing at Sapporo Teine for more pictures and information. Time Needed: At least half a day / Cost: JPY 8,700 for 4 hrs. Check out my post on Sapporo Teine for lift rates and equipment rental cost. Otaru is a charming port city less than an hour from Sapporo by JR train. It’s proximity makes it an ideal day trip destination from Sapporo, especially in winter when it hosts its own festival called the Snow Light Path Festival. 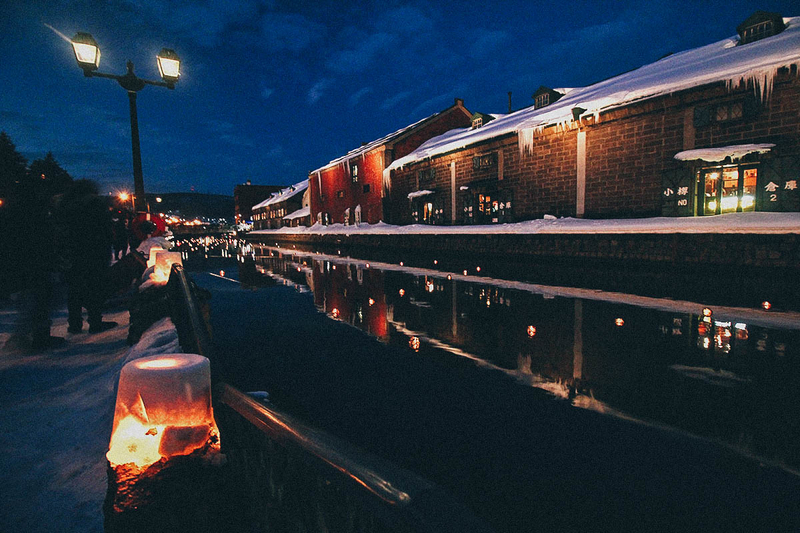 Held at the same time as the Sapporo Snow Festival, there you’ll find snow and ice lanterns lighting up the preserved canal area at night. 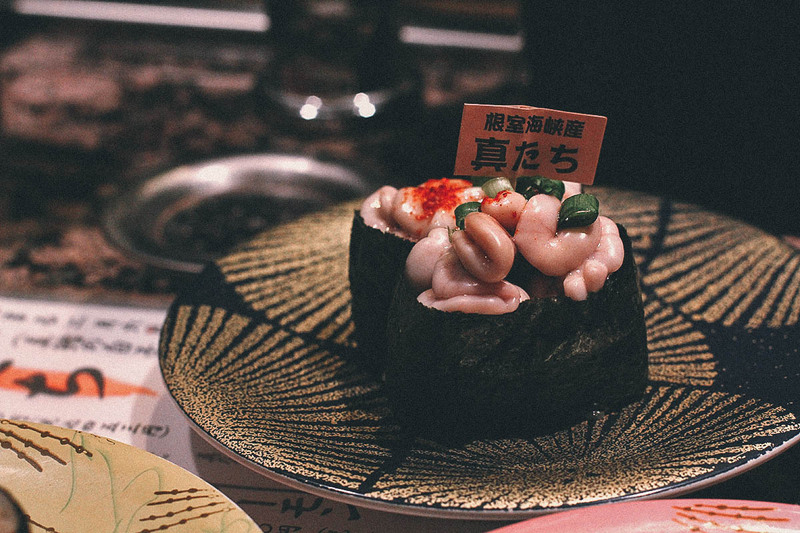 Being a port town, Otaru is also home to some of Hokkaido’s best seafood, not to mention a wealth of pastry and dessert shops selling the most delicious dairy products. Check out my post on the Snow Light Path Festival in Otaru for more pictures and information. If you like living museums or enjoy taking pictures, then you’re going to love the Historical Village of Hokkaido. 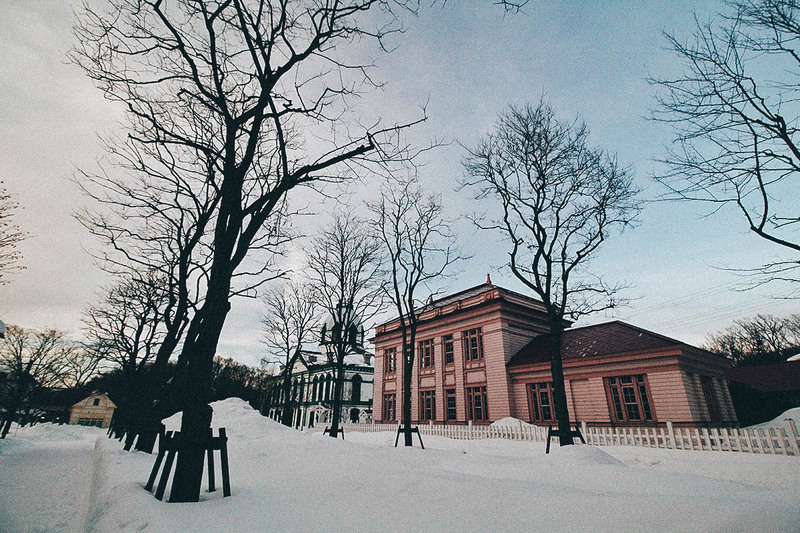 It’s an open-air museum boasting over 60 period structures spread out over 54 hectares. All the buildings at the village are from the Meiji and Taisho eras (mid-19th to early 20th century) of Japan, and were recreated to reflect what pioneer life in Hokkaido was like. Check out my post on the Historical Village of Hokkaido for more pictures and information. Adventurous travelers will enjoy this. Neither Ren nor I had ever ridden a snowmobile before so we were excited to try something new. It’s a little pricey at JPY 10,000 per person but it’s an experience you won’t soon forget. At the very least, it’s something to consider if you’re looking for something less conventional to do in Sapporo. 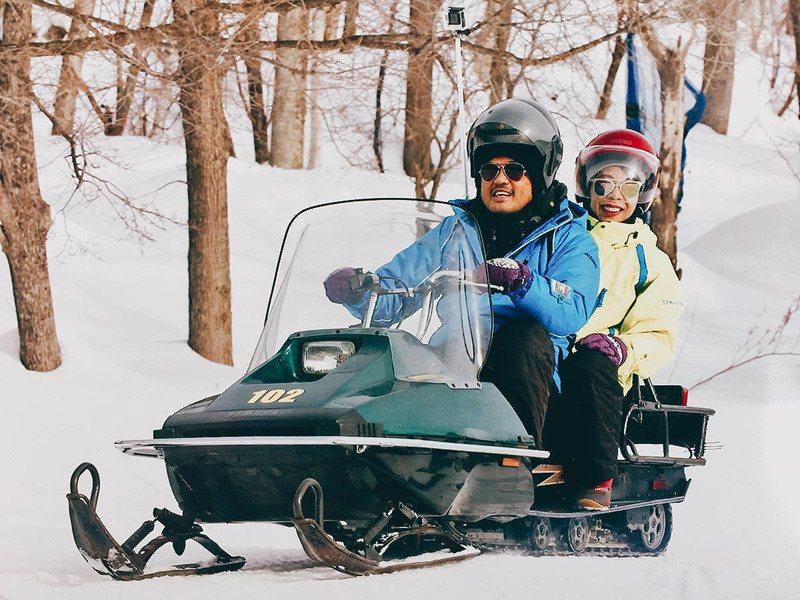 Check out my post on Snowmobile Land in Sapporo for more pictures and information. 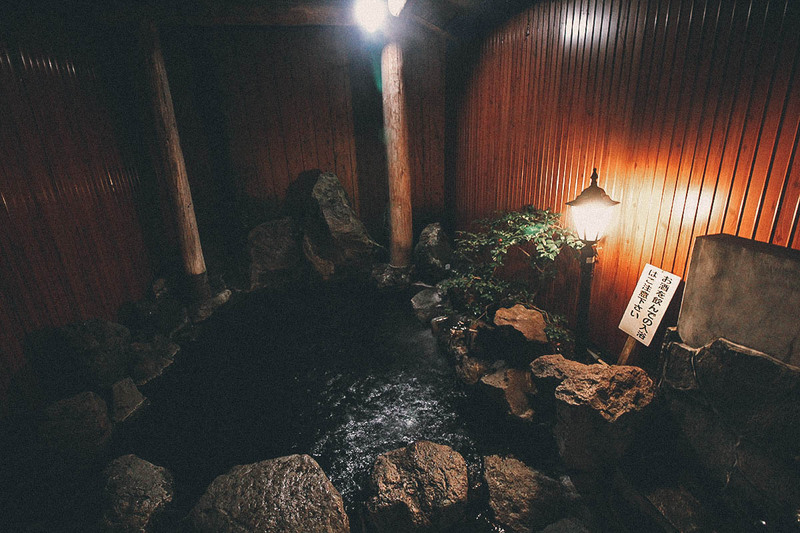 I didn’t understand people’s fascination with onsens, until I actually tried one. Simply put, bathing in a hot spring makes you feel AMAZING in winter. You feel so warm and relaxed you become practically impervious to the cold! There are many onsens around Sapporo, one of the biggest and most popular being Noboribetsu onsen town which is about an hour and a half away by JR train. Aside from its wealth of hot spring resorts, it’s also home to Jigokudani or “Hell Valley” – a geothermal area of steam vents and sulfur streams which is the main source of Noboribetsu’s hot spring waters. Another good option is Hoheikyo Onsen which is about an hour away from Sapporo by local bus. It features a rotenburo which is an outdoor hot spring bath surrounded by trees and nature. Check out the Hoheikyo Onsen website for more information. If you’d like to try it, then you can get a one-day hot spring package at Sapporo station which includes roundtrip bus tickets and an onsen pass for just JPY 1,800. Shopaholics rejoice! 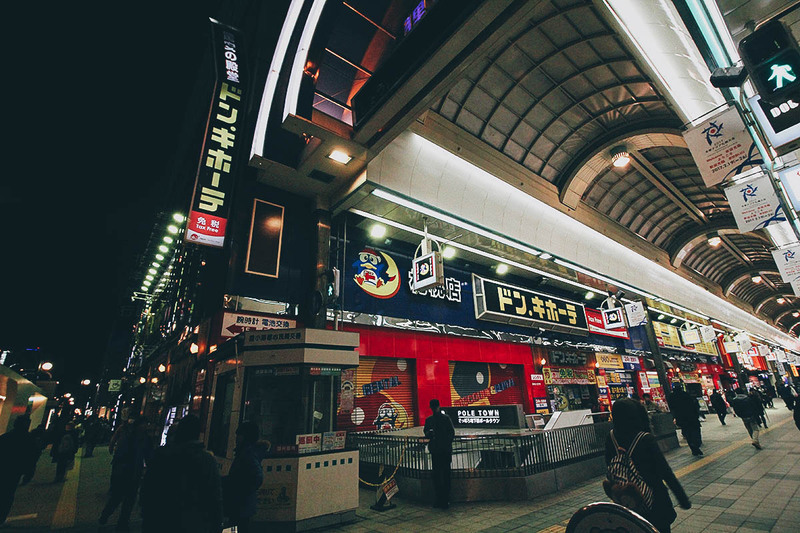 Shopping in Japan doesn’t have to be expensive, and Don Quijote is proof of that. Like Daiso shops, Don Quijoute is a discount chain store with over 160 branches throughout Japan. And I’m not talking about rinky dink shops either. Many of their branches are like mini department stores with several stories of products ranging from groceries to electronics to clothing to household goods. Best of all? Everything is tax-free. Visit the Don Quijote website to find the blue penguin nearest you. 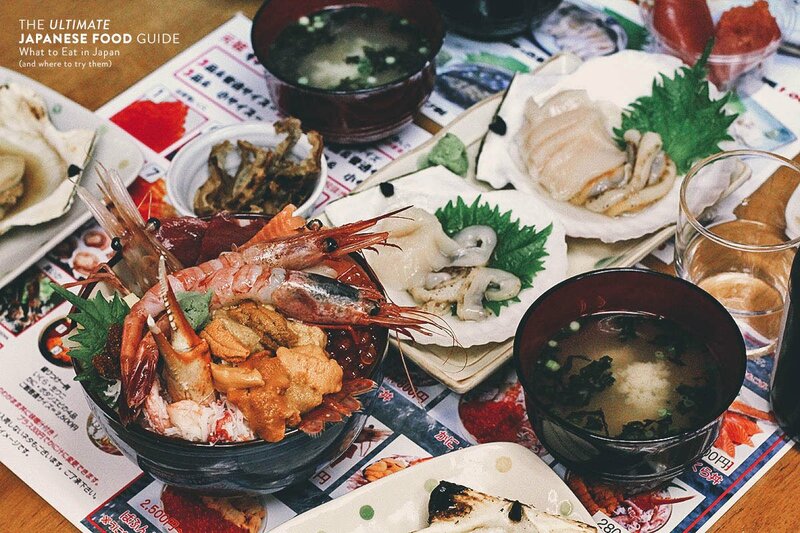 Japanese is my absolute favorite cuisine in the world and a big reason why we love visiting this country. 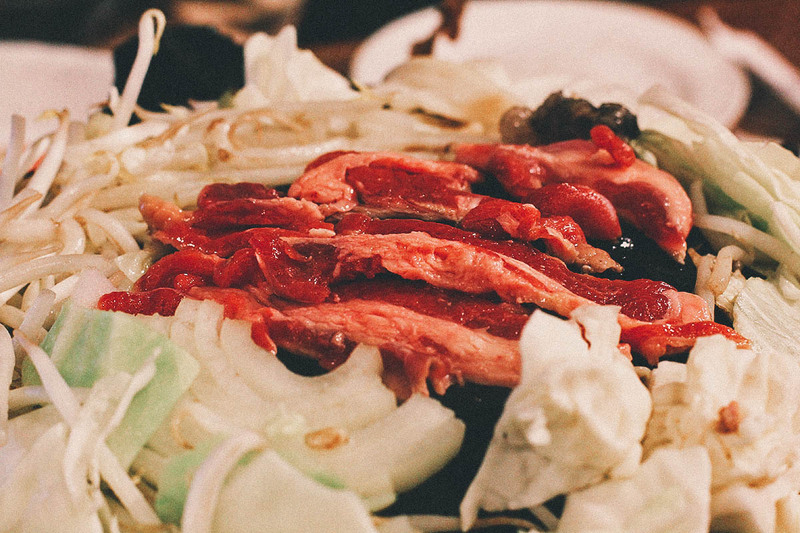 If you love Japanese food as much as we do, then you might want to check out our Japanese Food Guide. 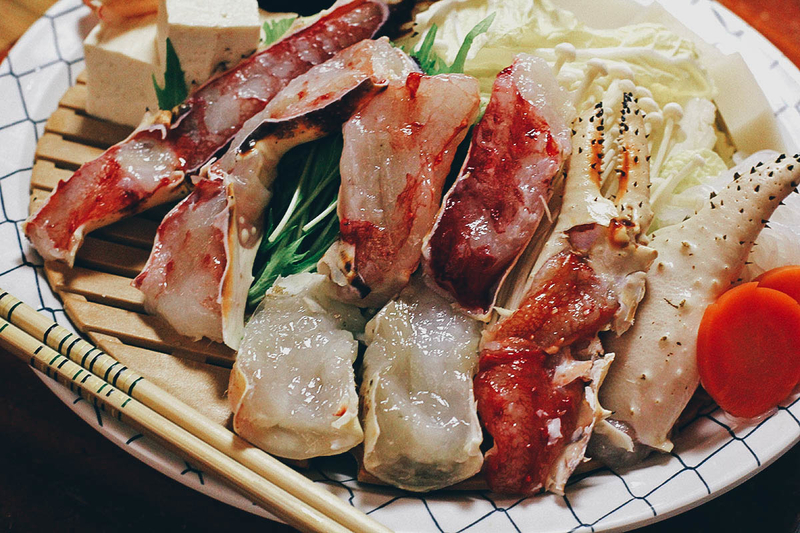 It includes popular dishes in Japan as well as regional specialties by prefecture, including Hokkaido. Without a doubt, Nemuro Hanamaru is one of the most popular restaurants in Sapporo. Do an internet search and you’ll find this kaiten-zushi restaurant (conveyor belt sushi) on nearly every “best restaurant” list in Sapporo. All that attention does have its downsides as this was the longest we’ve ever had to wait at any restaurant – 2.5 hrs to be exact! If you’re willing to wait, then you’ll be rewarded with awesome sushi at surprisingly affordable prices. Check out my post on Nemuro Hanamaru in Sapporo for more pictures and information. Like Nemuro Hanamura, the restaurants at Sapporo Beer Museum are extremely popular. They’re known for their all-you-can-drink and all-you-can-eat jingisukan specials. 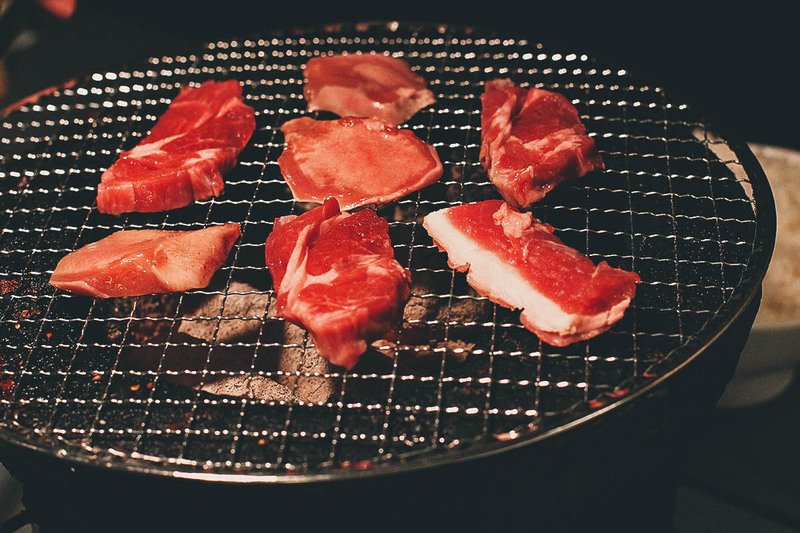 Jingisukan or “Genghis Khan” is a lamb yakiniku dish that you grill yourself on your table. It’s one of Hokkaido’s signature dishes and Sapporo Beer Museum is one of the most popular places to have it. In fact, it almost feels like a rite of passage for first-time visitors to the city. There are many restaurant halls at the museum, all of which are huge. Even then, they do get packed so it’s important to make reservations in advance. You can ask your hotel for help or purchase vouchers in advance through Klook. Check out my post on Sapporo Beer Museum for more pictures and information. Hokkaido is known for its seafood and these oysters are a good example of that. They’re available throughout the city but we enjoyed them here at this tiny sidewalk restaurant called Gotsubo. 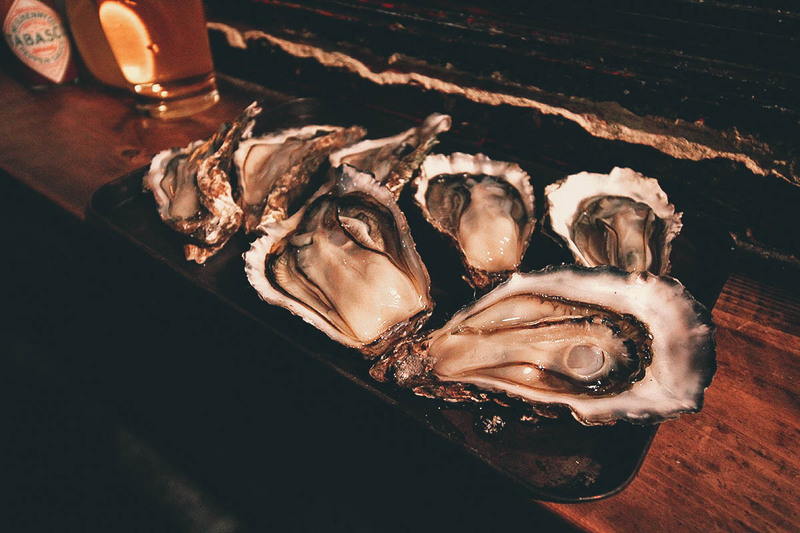 It’s a TripAdvisor favorite that serves grilled oysters on the half shell for just JPY 105 apiece (minimum of five). If that isn’t enticing enough, the owner frequently throws in an extra oyster or two depending on how many your order. We enjoyed this place so much that we ate here twice in five days. Check out my post on Gotsubo in Sapporo for more pictures and information. We enjoyed the jingisukan at Sapporo Beer Museum so much that we wanted to have it again, but this time over coals. We found this restaurant in Susukino with no formal English name (as far as I could tell). Jingisukan is typically cooked over a convex metal skillet but they let us try it using this flat wire grill instead. As good as it was cooked over a gas stove, it’s even better imparted with that smokiness which you can only get from grilling with charcoal. Check out my post on ホルモン食堂　4条店 in Sapporo for more pictures and information. Ramen Alley is literally an alley of ramen restaurants in Susukino. Many people online said it was touristy and to be avoided so I initially didn’t want to have Sapporo’s signature miso ramen here. However, this particular restaurant was recommended by locals so we decided to give it a shot. As it turns out, they were right. Shirakaba Sansou has a solid rating of 3.45 on Japanese review website Tabelog, just a shade lower than the 3.58 of Ramen Shingen Minami-6joten, the restaurant which many online reviewers told us to go to. 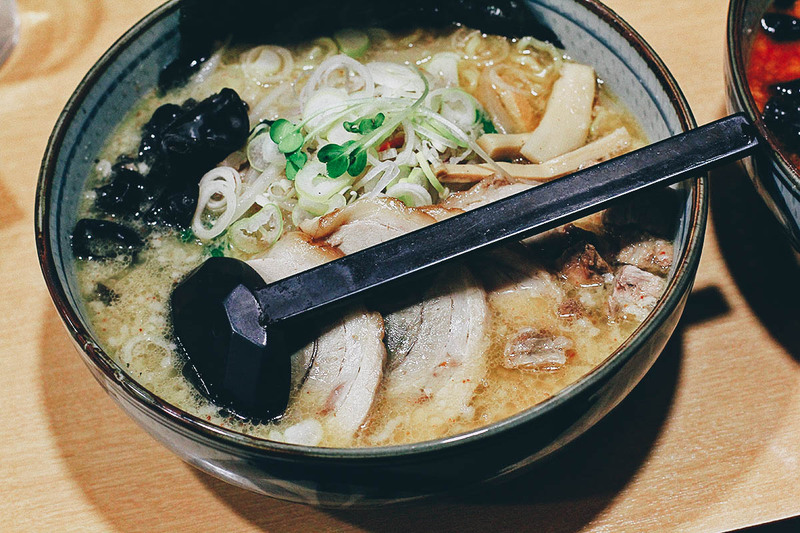 Miso ramen is one of the four main types of Japanese ramen and is said to have been invented right here in Sapporo, so you have to try it. Check out my post on Shirakaba Sansou in Sapporo for more pictures and information. Japan’s love for crab is legendary, and Hokkaido is one of the best places in the country to have it. When it’s in season in winter, the city looks like it was invaded by crab. You’ll have several types to choose from like king crab, snow crab, hairy crab, and thorny crab. We originally wanted to go to the popular Kani Honke restaurant but it was fully booked the two days we went. We couldn’t leave Sapporo without trying its famous crab so we went to Hokkaido Kani Syougun instead. We had two kinds here – the king and snow – both in a hot pot which seems to be the preferred way of enjoying crab for many Japanese. Check out my post on Hokkaido Kani Syougun in Sapporo for more pictures and information. 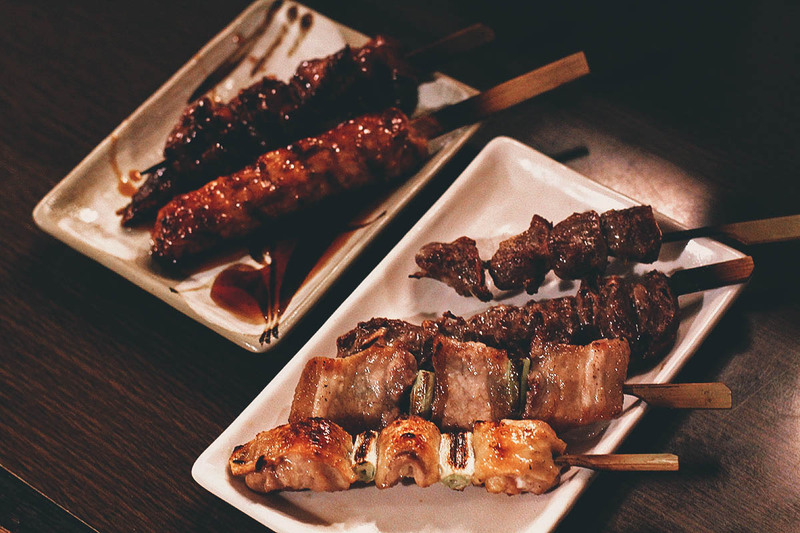 We were on the hunt for some good yakitori and Google led us to this izakaya in Susukino. Korombia has a wide selection of yakitori and kushiyaki, most of which were very good, but the most memorable dish of the night was the chicken sashimi. I had been curious to try chicken sashimi ever since I first learned about it. Like most people, I was shocked and intrigued that you could actually eat chicken raw. Based on what I’ve read, you need a special license to serve raw chicken in Japan which is what makes this find all the more special. Check out my post on Korombia in Sapporo for more pictures and information. Nijo Market is a public market just a few minutes’ walk from Odori Park. There you’ll find all kinds of fresh seafood, most notably crab if you’re visiting in winter. Prices do seem a little higher here so you may just want to have a quick snack rather than a full meal. For example, we paid JPY 2,000 for one grilled uni and two barbecued scallops. A little pricey yes but very good. 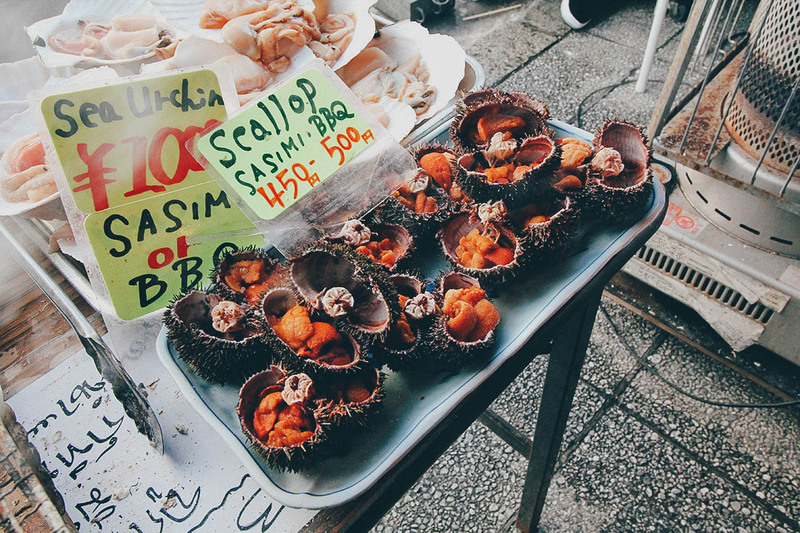 At the very least, you’ll want to take a stroll through the market as the seafood on display really is impressive. Check out my post on Nijo Market in Sapporo for more pictures and information. This is a tough one. 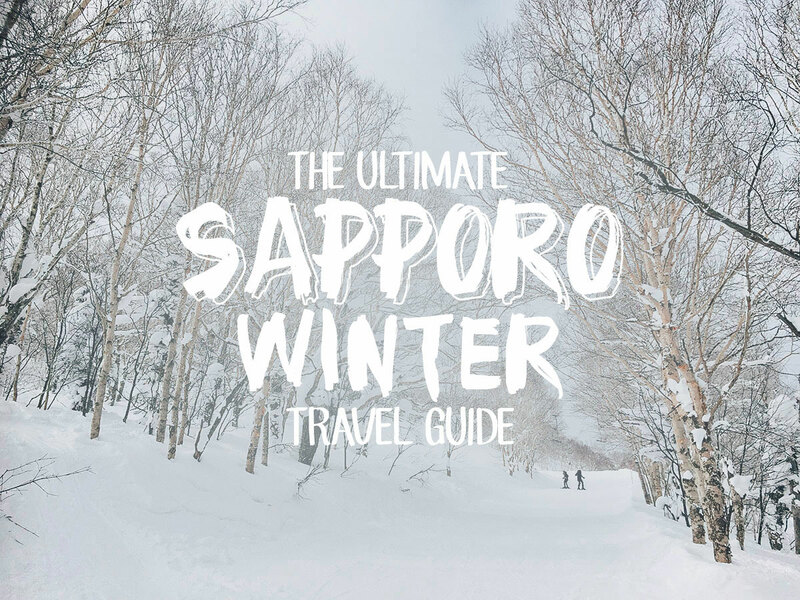 Though this guide was written specifically for Sapporo in winter, few people visit Hokkaido and stay only in Sapporo so the length of your visit really depends on how much of the island you want to see. Hokkaido is huge so you can realistically spend a few weeks here and still not see all of it. To keep it simple, if you’re planning on attending the snow festival and don’t intend to stray too far from Sapporo, then I’d say 4-5 days is enough. It’ll give you enough time to do everything in this guide. Here’s a quick itinerary outlining the major attractions. You can scroll down to the Travel Tips section for a more comprehensive itinerary (with restaurants). As you probably know, Japan isn’t cheap. It’s one of the most expensive countries in Asia. But unlike other Asian cities, Sapporo isn’t really recognized as a shopping destination so most of your budget will probably go to food and accommodations and whatever activities you want to do. This is highly subjective. It depends on several factors like hotel preference, location, and number of travel companions. Keep in mind that the week of the Sapporo Snow Festival is peak season in Sapporo so hotel prices will be at their highest. If you’re sharing a room with one other person and staying at an AirBnB rental or similar, then I’d say around JPY 4,000 a night per person. Again, this is subjective, but based on my recommendations, I’d say around JPY 2,500 a day per person if you don’t plan on splurging on every meal. If you’re sharing the cost with one other person, then you’ll be paying JPY 250 per day. Assuming you’ll be traveling a lot by subway and getting the one-day pass, then you’ll spend at most JPY 830 a day for transportation. This comes out to around JPY 7,580 a day per person. Please be advised that this is just an estimate based on our own personal travel habits. How much money you should bring is highly subjective and depends on many factors. For example, you’ll notice I didn’t factor in the cost of any activities in my daily estimate. Not everyone wants to ski or bathe in an onsen so I only considered the essentials. If you plan on doing any of the activities mentioned in this guide, then feel free to adjust the daily budget accordingly. Another thing, bear in mind that Japan is still mostly a cash society. Some places like hotels and ski resorts accept credit cards but for the most part, you’ll be paying in cash so be sure to bring enough with you. I’ve been using this free app for several years now. It makes travel planning easier by allowing you to visualize points of interest on a map. Check out my article on the Sygic Travel app to see how it works. Follow this link to check out our 5-day Sapporo winter itinerary on Sygic Travel. You’ll find more restaurants there that aren’t listed in this guide. You can also download it in editable Word format from our EAT-ineraries page. Having a constant wifi connection is a must these days. It’a almost as essential as packing a toothbrush. There are few free wifi zones in Japan so it becomes especially useful here. Having access to Hyperdia alone justifies the cost. 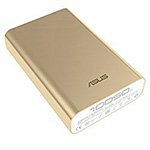 You can connect to the internet in Japan either through a sim card or a pocket wifi device. Personally, we prefer connecting via pocket wifi device because it’s simpler, but it’s really up to you. Either way, you can book them in advance through Klook. Follow the links to purchase a 4G sim card or rent a 4G pocket wifi device (7GB data | Unlimited data). 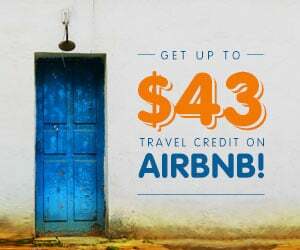 Be sure to reserve it at least a week prior to your trip. You’ll be riding the subway a lot in Japan so this free commuter app will be very useful to you. It’ll help you decipher the often confusing metro system. In fact, I wouldn’t dare use the subway without it. The week of the snow festival is one of the busiest times of the year in Sapporo so it’s important you plan your trip as early as possible. In our case, I had booked most of our trip by September of the previous year. I got cheap international flights to Japan in July, and booked our domestic flights and accommodations in September. We went to Sapporo to attend the festival so I pretty much took care of everything as soon as I got confirmation on the festival dates. I suggest you do the same. Many of the restaurants in Sapporo are small so you’ll often find yourself waiting for a table, especially during the week of the festival when the city is flooded with tourists. As mentioned earlier in this guide, we tried twice to eat at popular crab restaurant Kani Honke but they were fully booked on both days. If there are any specific restaurants you want to go to, then I suggest asking your hotel for help in making reservations. The same goes for any activities you want to do that may require reservations. Once I finalized our itinerary in early January, I made reservations with Snowmobile Land as soon as I could. Everything else didn’t require reservations. There are many websites that offer discount passes to tours and services. The websites I’ve used the most are Klook and Kkday. You’ll often find interesting activities that you wouldn’t normally think of yourself so it’s definitely worth a look. In fact, that’s how I learned about Snowmobile Land. I wanted to book our snowmobile rides through Klook but they didn’t offer the option for tandem rides, so I booked directly with Snowmobile Land instead. To be honest, we don’t always get travel insurance. Some trips may not call for it as much but on this trip to Japan, it was a must because we were going skiing and snowmobile riding. It would have been a disaster to get hurt and hospitalized in Japan without any form of insurance. Check out my post on why we buy travel insurance from World Nomads for more information. You can follow the link or use the widget below to learn more and get a free travel insurance quote from World Nomads. Japan has Type A or Type B electrical outlets so be sure to bring the right power adapters for your devices. Electrical voltage is 100V and the standard frequency is 50/60Hz. Japan is a country of many unwritten rules. You’re a foreigner so you aren’t expected to know all of them, but it would be good to familiarize yourself with the basics. 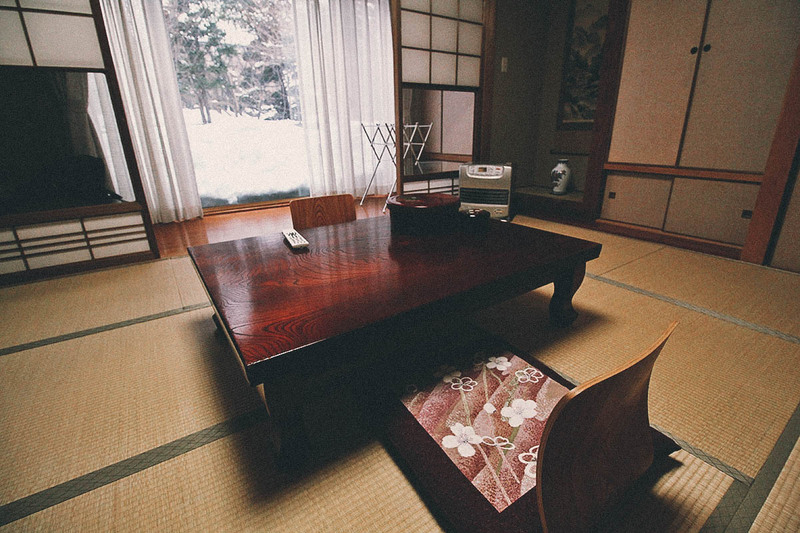 Check out this great overview on Japanese etiquette for travelers. The subway system in Sapporo, and Hokkaido in general, is very efficient. It’s comprised of local trains and JR trains. You can get pretty much anywhere you need to go using the train system. As long as you have a constant wifi connection and access to hyperdia.com, then you should have no problems getting around. If you’ll be using the local subway a lot, then you may want to purchase a one-day ticket. It allows you unlimited rides on subway trains for the whole day and costs JPY 830 for adults and JPY 420 for children (ages 6-11). If you already have your itinerary mapped out, then you can use hyperdia.com to estimate how much you’ll be spending on subway transportation per day. In our case, it was only worth it on one day of our trip. You can purchase the one-day pass at any subway ticket-vending machine. They also have cheaper weekend and holiday versions of the one-day pass which you can read about on the Sapporo City website. Aside from a day trip to Otaru, we stayed in Sapporo the whole time but if you plan on exploring more of Hokkaido, then the Hokkaido Rail Pass may be worth your while. It’s available only to non-Japanese and allows you unlimited rides on all JR trains (except Shinkansen) and some JR buses within Hokkaido. It starts at JPY 16,500 for adults and JPY 8,250 for kids (ages 6-11) for the 3-day pass, and it must be used on consecutive days. You can refer to the JR Hokkaido website for more information. Philippine passport holders need to secure a tourist visa to Japan. The entire application process is coursed through a travel agency so you don’t have to go to the Embassy of Japan. I coursed mine through Reli Tours & Travel and at the time, they charged PHP 950 if you’re applying as a tourist, and PHP 2,000 if you’ll be visiting friends or relatives. It takes between 3-7 days to process. Check out my post on how to apply for a Japan tourist visa for a step-by-step process and a list of accredited agencies. I’m not an expert on Sapporo but I hope you find this post useful. I’m only sharing some of the things I learned from our trip. If you have any suggestions, then please feel free to leave them in the comments section below. You’re welcome to join our Facebook Travel Group as well. To help inspire you more, you can check out this short video I made on 6 fun things to do in Sapporo in winter. Thanks for stopping by and have an awesome time in Hokkaido! Some of the links in this guide are affiliate links, meaning we’ll get a small commission if you make a purchase at no added cost to you. 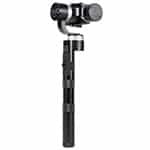 We only recommend products and services that we use ourselves and firmly believe in. We really appreciate your support as this helps us make more of these free travel guides. Thank you! Thank you so much for sharing. We went Niseko / Sapporo twice (Feb 2016 & 2017) and how I wished your article on Hokkaido was published before my trip. Seems like we missed out a lot of good food Sapporo has to offer. By the way, I used your guide on Michelin Hong Kong Street Food for my Mar trip this year. Fantastic. For my future trips, I’ll make it a point to search your archives. Haha~~~ Keep up the great work guys. Will be waiting for your next write-up. Wow thanks so much Angeline! It takes time and effort to write these guides but comments like yours make it all worthwhile! So happy you found our guides useful. Wow! This is, by far, the most thorough post I’ve seen about Sapporo. You guys did an excellent job with the photos and the information you covered. I greatly enjoyed it ? Happy to hear that you found it useful Rochelle! ? Hello, we are going to sapporo this feb 2018 in time for the winter festival, we will use this as our guide for our daily itinerary, thank you for sharing this info. I really enjoyed reading your blog. I will be in Sapporo this December. I speak reasonable Japanese, but have only been in Japan during the holidays one time and that was in Osaka. One quick question. I am travelling by myself and don’t celebrate Christmas in the West because I am not Christian. We usually just go for Chinese or Japanese food here in California. Will it be impossible to even get a counter seat at an Izakaya on Christmas eve? I have heard restaurants. In Osaka most restaurants were booked up totally because Christmas is kind of a date night in Japan.